Each of the tiny shells that form this frog are only 4 millimeters long. 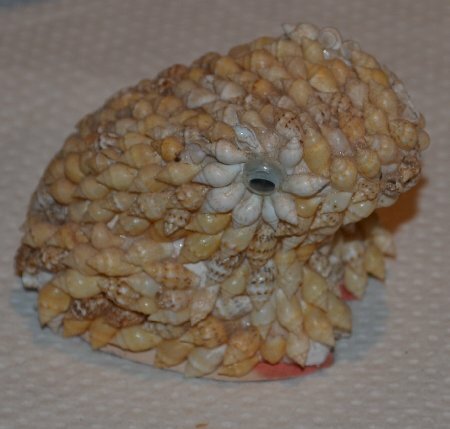 It took a lot of patience to glue all the shells together. This is an example of hand-crafted souvenirs made from local meterials by people trying to earn tourist dollars to make a living.